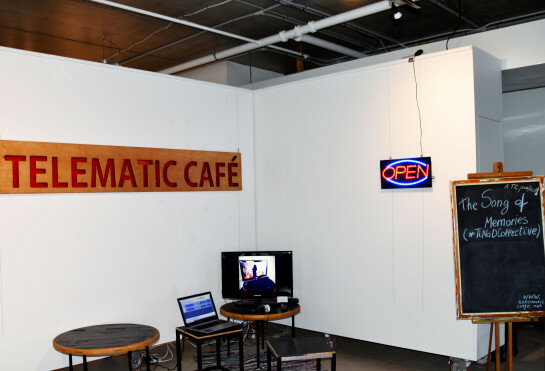 Telematic Cafe: The Song of Memories (#TiNaDCollective) on the final day 11 July 2018 (dis)playing the visualization of images and their sound version. The Project Space – Deakin University, Geelong. Hello! 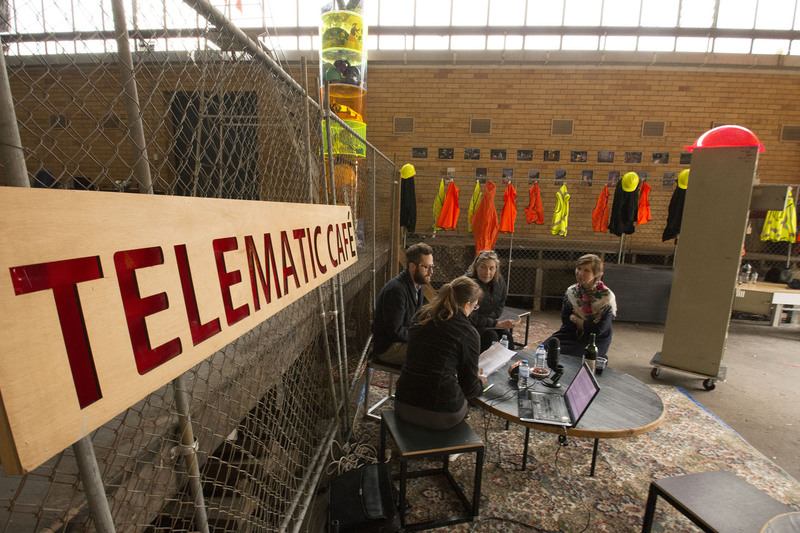 Telematic Café has news – a project has been developed by joining This is Not a Drill Collective (25 June – 11 July 2018) at The Project Space – Deakin University in Geelong, AU. This is Not a Drill Collective was a generative model of creative production on site, exploring what collaboration might be, what art-making in a space, specifically in The Project Space, could be and what this process might bring for the gallery and artists-producers. This framework was a direct inspiration for Telematic Café: The Song of Memories (#TiNaDCollective) was bound to evolve as one of the voices within This is Not a Drill Collective. I would like to pick up discussion from my last post about McLuhan’s “medium.” I realize that by pointing out the twofold perspective on “media” I do not address their importance to try to verify the applicability of the famous imperative “the Medium is the Message.” Objectivity of the physical medium and cultural media does not simultaneously stress their importance. Important for whom, when? The 21st century, and notably, the second decade of it has really started to take the Western world out of its comfort zone. And one of the questions is about the kind of cultural practice we need. We live in time of ongoing wars and anticipation of catastrophe – whether ecological or economic, when we can visually correlate all these phenomena – wars, capitalism, environmental destruction. This time is filled with a lot of confusion but also thinking, and reconsideration of values. I will not discuss here the new wave revolving around the theme of climate change that we hear in cultural institutions on daily basis; more interesting is the question about what should now be the philosophical formula for art if it is considered as cultural work. This formula, in my opinion is a balancing act. This means a cross-over of philosophical perspectives. If we go back to McLuhans medium as total interconnected world – even if it may not be necessarily interesting or even immediately relevant from the position of subjective experience we need the view of objective world to start understanding the relationship between the human and environment: to seriously address the stakes for sustainability. Environment which is physical and cultural as McLuhan’s media. On the other hand, contemporary art has been traditionally, in the postmodern era, getting its inspiration from phenomenology, linguistics, structuralism. I believe that the idea of “the extensions of man” in McLuhan’s sense has something in common with phenomenology / studies of perception but they seem to have different purposes or perhaps practical implications. The balancing act seems to be needed between the subjective and objective in order to be able to extract meaning, the particular meaning which works in current conditions. I cannot resist mentioning the politics of media art and fine art that have built two different camps for art histories. One of these camps is new media art, which through the means of technology or social practice, considers and confronts environment – physical and digital. Until recently this has been perhaps too “unhuman” for the governing mindset in fine art. Of course, in fine art also the artists have played with the “absence of subject” as something that has been produced by the Anthropocene condition (see my earlier post about art in the Anthropocene). My point is that the aspect of objectivity-as-environment (although imperceptible at its extreme) is required for the subject to mirror oneself or mark a distance – impossible as it seems – necessary for reassessing the values. If we consider the interrelation – human-environment then “subjectivity” which was the focus of Félix Guattari, indicates this dynamics and possibilities for practice. Guattari purposefully excluded the term “subject” from his theory – and dedicated his whole attention to the matter of subjectivity production. It was about mutation, shifts and imagination, which pushed human existence out of scientific reference system towards other ecological horizons . And finally McKenzie Wark has been expressing a similar thought to what I mean by balancing between philosophical perspectives and inclusion of the aspect of objectivity-as-environment. In Molecular Red: Theory for the Anthropocene he suggests that the early 21st century critical thought has desire for life in two main ways: one is a kind of “revolutionary subjectivity” – the other is a kind of “speculative absolute, a theory purified of any merely human phenomenal dimension” – in other words, radicalized subject and absolutized object; yet he further seeks the middle cut, the media which mediates between and delineates object from subject . Image: Alberta, Canada, 1966. Vintage photo from National Geographic Archive. Source: https://m.forocoches.com Author: JAMES L. STANFIELD. © National Geographic Creative. See – Guattari, Félix. Chaosmosis: an Ethico-Aesthetic Paradigm, 1992 [translated by Paul Bains and Julian Pefanis]. Sydney: Power Publications, 2006. McKenzie Wark. Molecular Red: Theory for the Anthropocene, 2015. London, New York: Verso, 2016, 122. Telematic Cafe discussions during VACANTGeelong Open Studio day, 24 May 2017, North Geelong industrial precinct. My current project as part of a larger Telematic Cafe mobile & online curatorial concept is focused on generating discourse around “labour.” Part I of this edition has taken place and I am offering in this blogspace highlights from these conversations along with ambient recordings. These discussions were held at an old industrial space in North Geelong, Australia during an Open Studio event looking at memories emplaced in vacant industrial sites. Fragment from Pierre Huyghe’s exhibition at Centre Pompidou, December, 2013. Photo sourced from Contemporary Art Daily. The post-human thinking at the time of Anthropocene is not only an accelerating direction in art but also an influence on art museums. 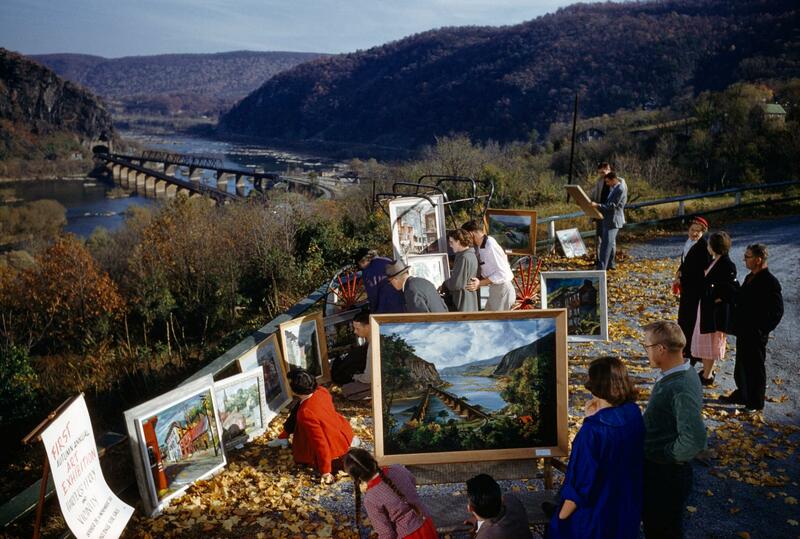 Comprehending the connection between humans, objects, animals, technologies and nature is an issue that moves into the center stage of art. The key requirement for this critical thinking and practice is the position outside of predetermined conceptions of existing knowledge and social value mechanisms. As Keith Armstrong distinguished, when it comes to the realm of “ecological art practices” – it is not about “management” , but a completely new image of the human or rather a form of self-realization as part of broader processes that will then guide our engagement with the world. Ecological disasters and the concrete effects of global warming make it urgent to feel and to operate within “the real,” – and the last years have seen art production that is occupied with the material environment. On the one hand, these practices are reminiscent of Marcel Broodthaers’ fictional project Museum of Modern Art, Eagles Department (1968-1972) that, through its perfect system of object gathering and classification, achieved elaborate and sophisticated deconstruction of institutional knowledge systems (in the frames of the museum itself). On the other hand, Leckey’s systems of objects that may produce “weird complexities”  and Huyghe’s interest in constructing situations that “take place within reality”  resonate with contemporary cabinets of curiosities, a widely celebrated trend of self-reflection and re-interpretation following the model of MONA in Hobart (as predicted in my blog post back in 2013). Strictly speaking, the perspective of Anthropocene eliminates the existence of museums as we know them, yet of course they will exist, and the state of Anthropocene comes with opportunities for museum interplay with antithesis. 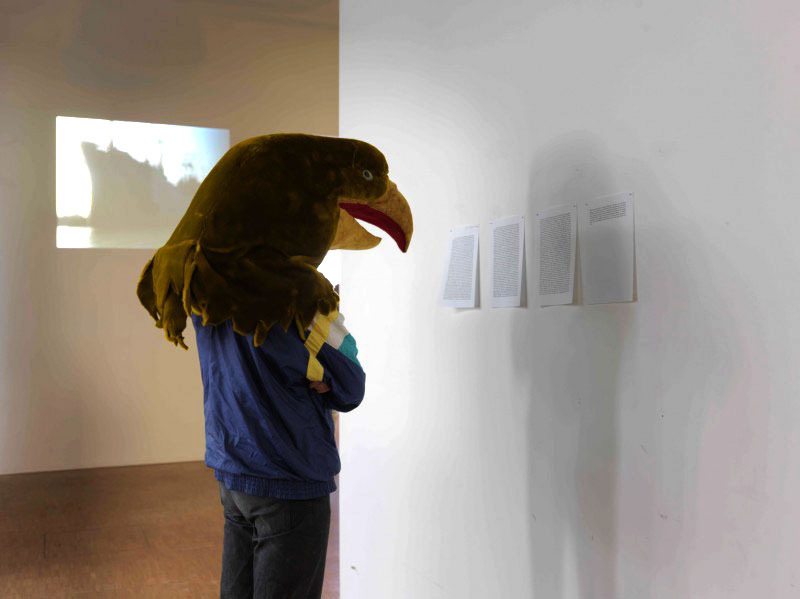 Image: Fragment from Pierre Huyghe’s exhibition at Centre Pompidou, December, 2013. Photo sourced from Contemporary Art Daily. Keith M. Armstrong. “Grounded Media – Expanding the Scope of Ecological Art Practices Within New Media Arts Culture.” QUT Media-Space-Journal (2008). http://eprints.qut.edu.au/8802/. Council. “On Becoming Earthlings: Shrinking and Expanding the Human, 25/4/2015.” Council, http://www.formsofcouncil.org/en/inquiries/115_on_becoming_earthlings/737_on_becoming_earthlings_737. Nicolas Bourriaud – Art in the Anthropocene: Humans, Objects and Translations, YouTube: https://www.youtube.com/watch?v=TgBQUE-ZaY4. Kathy Noble. “The Universal Addressability of Dumb Things, curated by Mark Leckey: in Conversation with Mark Leckey, 2013.” Goldsmiths – Research Online, https://research.gold.ac.uk/9375/. Contemporary Art Daily. “Pierre Huyghe at Centre Pompidou, December 30th, 2013.” Contemporary Art Daily: a Daily Journal of International Exhibitions, http://www.contemporaryartdaily.com/2013/12/pierre-huyghe-at-centre-pompidou/. Why are we here and why am I asking this question?